This manual will give you practical and simple guidelines to help you in this traumatic situation. Give you specific things that you can do in order to have the best chance of getting your relationship back in harmony again. Tell you the truth about some popular myths of infidelity. Tell you why partners cheat. Describe in detail the stages of recovery. Describe the different types of affairs. Show you how to handle your partner’s anger. Dr. John Gottman’s research for over 15 years with 5,000 couples. The latest scientific findings in neurobiology. 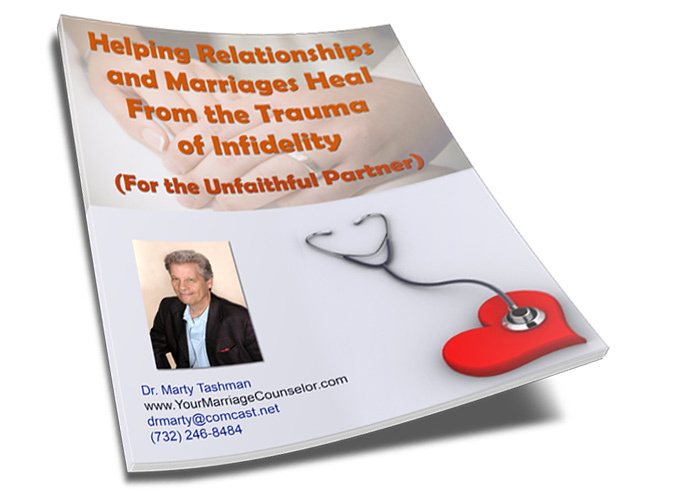 My 30 plus years as a Marriage and Couples Counselor. 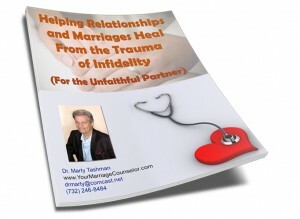 **Click here for Dr. Marty’s manual (eBook) For the Faithful Partner.